Finland is the most sparsely inhabited country of the European Union. Interest in the land’s refreshing, northern beauty is growing around the world. People come to Finland, not only to admire the beautiful scenery, but also to trade, train, and work. In addition to the tranquillity of nature, visitors take note of the vibrant cultural city life and the safe society. Finland has many faces. The maritime atmosphere of the southern coast shifts through the idyll of the Finnish Lakeland to the rugged beauty of Lapland. Keijo Penttinen and the other photographers of this work have captured impressive moments in the outdoors and cities of Finland. 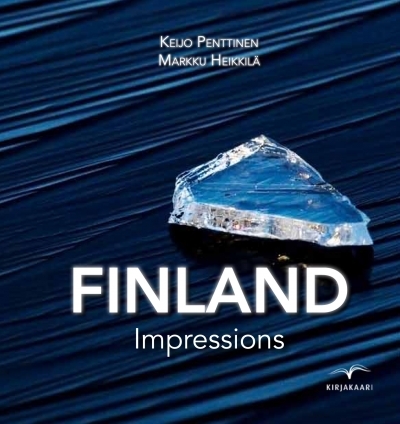 In the text, Journalist Markku Heikkilä makes many interesting observations on Finland’s geography and the Finnish soul.